Cultural barriers: Many finance departments are dominated by different cultural groups. This can make any operational and structural improvements tricky to implement out. Avoiding confrontation. Some Finance Heads don’t want to challenge the owners or CEO for additional budget to improve processes in the finance function. Simply satisfied with just maintaining. Resistance to Change. “Its always been done like this so why change it?” . Lack of awareness in technological advancements in invoice processing and being unaware of potential savings they offer. Time and Resources: “I don’t have the time and human resources available to execute a finance improvement project…” In fact, its through automation that Finance Heads will be able to free up more time and human resource. How does our market leading Invoice Processing solution work? All invoices are instantly captured from a variety of mediums (Email, Fax, Mobile, Web, Scanner, Disk, etc.) when they first come into the business. A digital image of the invoice is created, which immediately reduces paper circulating around the office and is then stored to your ECM or Backend system. The Capture software reads and automatically extracts the supplier name, Purchase order number, the total amount, the invoice number and line items of the invoice. No manual entry required. After the AP clerk has validated the batch of invoices, the extracted invoice information is then sent to your existing ERP or Accounts Payable Application. (SAP, Oracle, MS Dynamics, etc.) Software we provide has full integration, even with In-house AP solutions. This solution also provides Finance Department Heads with excellent visibility and control tools such as Spending approval limits, Approval hierarchies, segregation of duties and Audit Trails. Increasing ACCURACY and SPEED. For many companies, the current Accounts Payable (AP) system is very labour intensive, slow and prone to human error. Errors in invoice entry and misplaced invoices cause late payments, incorrect payments and duplicate payments. AP automation can resolve this. Decreasing COST. Comprehensive studies have shown that the ROI (Return on Investment) on our Invoice ans AP automation process can be achieved within 2 years. Unnecessary overstaffing within a function and continual correcting of human error costs money, which most companies are looking to avoid. Eliminate the PAPER heavy process that exist. Many companies in the region still have heavy reliance on paper and sending invoices all over the office for approval. 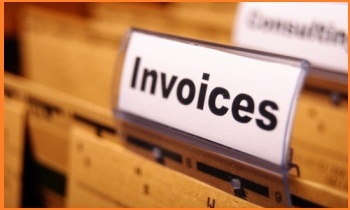 This can be easily changed by simply reviewing and approving the invoice online. Making a move towards a Paperless office. Improved STAFF morale and EFFICIENCY. Current Accounts Payable staff will receive training on the automated AP solution and will learn new skills. Reporting tools within the solution help management monitor invoice processing better.